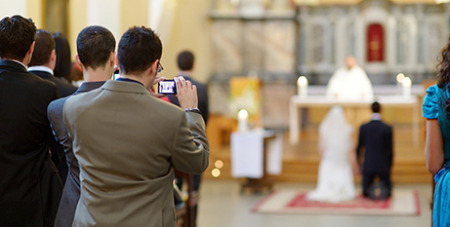 Massgoers in Ireland are being urged to make what could be a significant sacrifice throughout the penitential six-week period – switching off their mobile phones. Source: CNS. Fr Robert McCabe of St Mary’s Church said he hopes parishioners will make a permanent lifestyle change, rather than just putting down their devices during Lent. Fr McCabe, a former military chaplain, said mobile phone etiquette has even been introduced in the pre-baptism courses he runs in his parish. While Fr McCabe acknowledges that some people — including those on call for their work — are not in a position to turn off their smartphones, he insists everyone could all benefit from spending less time staring into devices.